Put your events on autopilot by scheduling recurring events weeks or months in advance. With the Recurring Events Manager, Event Espresso will automatically open and close registrations for all of your recurring events. Need to plan out your classes and/or events for the next 2-3 months, or even a year in advance? If you are a gym owner, teacher, conference planner, or event professional, this add-on is for you. 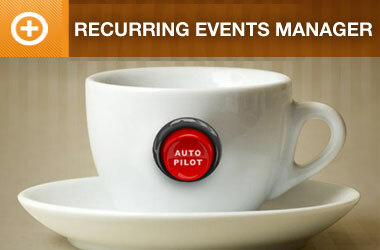 The Recurring Events Manager add-on will allow you to put your events on autopilot. Create as many events in the future as you like. 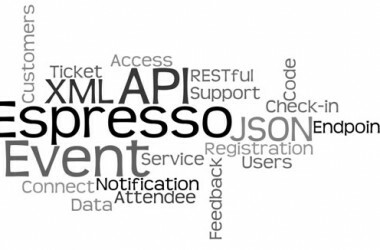 Event Espresso will automatically open and close registrations for all of your recurring events. The Recurring Events Manager add-on for Event Espresso adds even more power to this amazing event registration and management system for WordPress. It can automatically create repeating events and classes that practically manage themselves. Just install this add-on in conjunction with Event Espresso and start creating classes, meetings, and conferences for months (and even years) to come. Easily turn on or off the Recurring Event Manager features at the event level. You can choose whether to have Event Espresso automatically set the dates for your future and recurring events if they happen on a predictable basis, or you can set them manually. Schedule when the registration starts and ends. For example, open registration on the 1st of the month and close it on the 14th (on, before, or after the event starts or ends). If the “create dates automatically” setting is used, this time period (not the exact dates) will be used for future events. If you set the registration to open 30 days before the event and end 2 days before the event, the recurring events will function the same way for future events. You can also set the registration for all the recurring events to happen between the Registration Start and End Dates or have the registration dates automatically calculated according to the time periods created above. 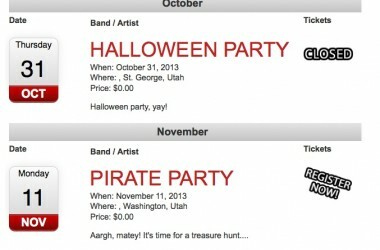 Schedule your first and last events so the system knows where to begin. Notice your event can be scheduled to last multiple days if needed. Schedule your event to occur every on a daily, weekly, or monthly basis. Events can recur every day, week, or month or after any number of days, weeks, or months. If events recur on a weekly basis, you can select which day of the week they occur. If events recur on a monthly basis, you can choose whether the event recurs on the day of the month or the day of a week. Before submitting the event, confirm you have the schedule correct with the Event Schedule Preview. Once you’ve submitted events and discover you need to make a change (whether to the event details or the event schedule) you can indicate whether you want to update just this event, all the following events in the series, or all the events in the series. This way you don’t have to change every event in the schedule; one change and you’re done with them all. How Often do Events Repeat? Update only this event, all events, or only upcoming events? 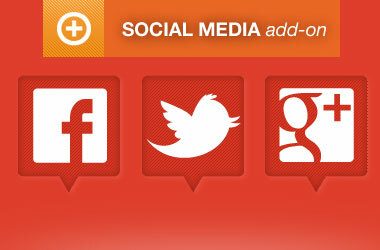 The social media addon displays Facebook, Twitter and Google+ buttons in your events.